Northern Okinawa produces an astonishing variety of products. The northern parts of Okinawa Island is often referred to as ‘Yanbaru’ that means ‘Mountain Field,” because it’s the part of the island that has the highest mountains and least inhabitable areas. However, Yanbaru produces a variety of crops that people buy on local markets, often without giving a second thought to where the produce came from. 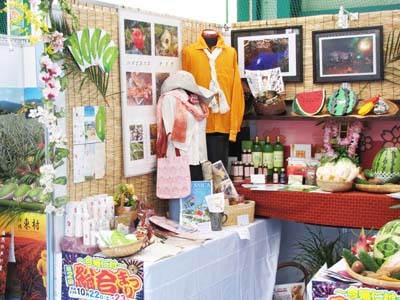 A good opportunity to familiarize oneself with Yanbaru and its products is the Yanbaru Business Fair that is organized now for the 31st time in Nago’s 21st Century Forest Park at 2-1-1 Ominami, Nago City. The fair is held on Oct. 10th and 11th and is open from 10 a.m. to 8 p.m. on both days. Admission to the event is free. Parking at the 21st Century Forest area is limited, but free parking is available at the Nago Fishing Port. A free shuttle bus will take visitors to the venue. 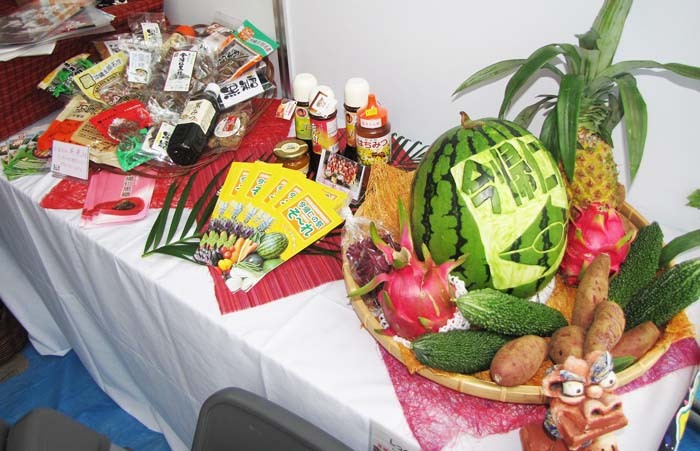 The fair highlights Yanbaru’s agricultural crops, specialty goods, processed products, folk arts and traditional crafts from the 12 municipalities in the Yanbaru district. Although the name is not official, Yanbaru is often defined an area in the northern part of the Okinawa’s main island and including Ie, Iheya and Izena Islands. Yanbaru consists of 12 municipalities with a total population of about 127,000 people of Kunigami, Ogimi, Higashi, Nakijin, Motobu, Nago, Ginoza, Onna, Kin, and Ie, Iheya and Izena Islands. Yanbaru takes pride in its rich nature and many valued specialties of agricultural and marine products that include citrus fruits, mango, seaweed, flowers, rice and potatoes.